Hero Ticket Package guests will be close to the action while enjoying the experience of a lifetime with a 3-Day race ticket. Official Ticket Packages include a meet-and-greet with an F1 Driver or Legend during the Friday Paddock Club Reception, a photo with the Championship trophies on the starting grid, F1 Insider Access and more. Witness the 2020 Bahrain Grand Prix from the comfort of the illustrious Paddock Club throughout the weekend. Located above the pit lane, enjoy up-close team views with premium hospitality as well as a full day of Paddock access, a private podium visit and access to the Podium Celebration Ceremony! 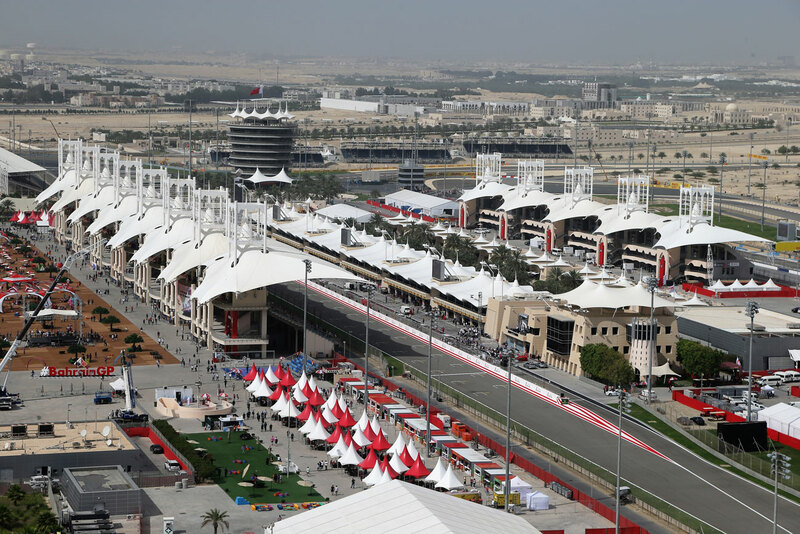 Witness the 2020 Bahrain Grand Prix from the comfort of the illustrious Paddock Club throughout the weekend. Located above the pit lane, enjoy up-close team views with premium hospitality as well as Guided Paddock Access, a Paddock Club Pit Lane Walk and more. With a Premier Ticket Package, guests will receive exclusive access into the sophisticated Formula 1 Paddock Club on Friday, including five-star cuisine, open bar and Guided Paddock Access. Guests will also receive access to the Drive the Track Tour and Starting Grid Photo Opportunity on Thursday, Friday night activities and complete the weekend with a grandstand ticket on Satruday and Sunday. F1 Experiences' Starter Ticket Package provides fans an inside view into Formula 1 that they cannot get elsewhere. Along with a 3-Day race ticket, guests will also receive access to the Exclusive Pit Lane Walk, Drive the Track Tour and a Starting Grid Photo with the Race Trophy. Trophy Ticket Package guests will be close to the action while enjoying the experience of a lifetime with a 3-Day race ticket. Packages include a meet-and-greet with an F1 Driver or Legend during the Friday Paddock Club Reception, a photo with the Championship trophies on the starting grid, F1 Insider Access and more.